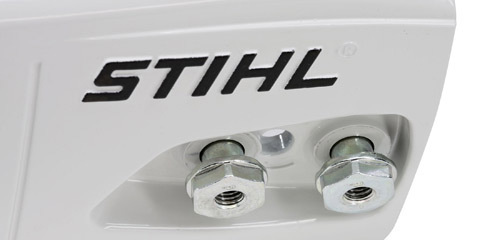 The STIHL MS 661 C-M Magnum Chainsaw is equipped with cutting-edge technologies for outstanding performance. Weighing in at just 7.4 kg and with an impressive output of 5.4 kW, it boasts an excellent power-to-weight ratio and is the lightest Chainsaw in its engine displacement class. Because it's not just power that counts when you're harvesting large timber, but also every gram of weight. That makes work easier, even for the most skilled professionals. 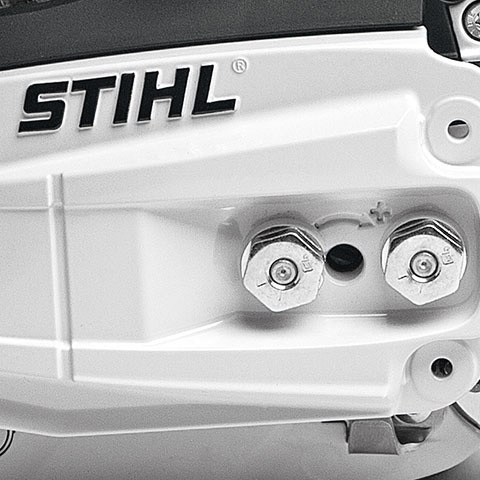 Green machine: the efficient STIHL 2-MIX engine with 1-in-4 channel technology delivers high torque over a wide rpm range. 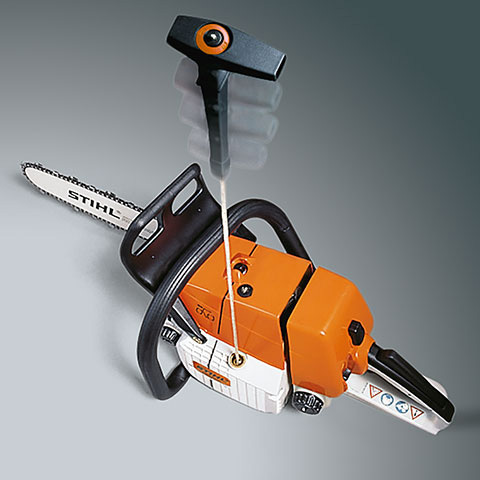 At the same time, the STIHL MS 661 C-M consumes up to 20%* less fuel and produces as much as 50%* lower emissions. The M-Tronic fully automatic engine control makes work easier, even for the pros. 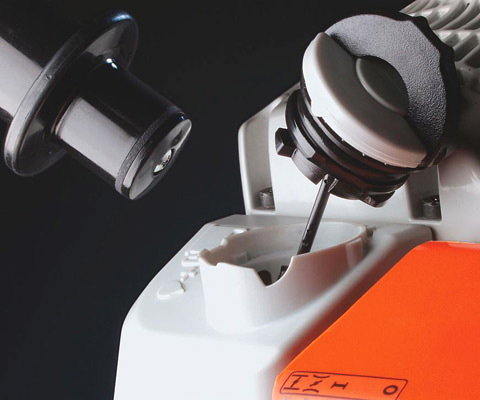 A microchip controls the engine's ignition timing and fuel supply, taking into account variables such as temperature, fuel quality and elevation. 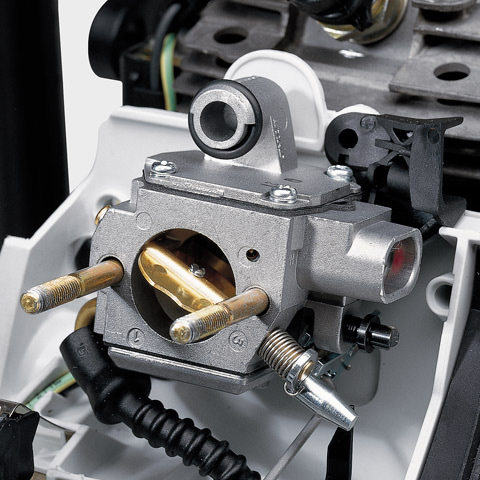 So you no longer need to manually adjust the carburettor, the Chainsaw consumes less fuel and you can count on the best possible engine performance at all times. Light years ahead: the STIHL MS 661 C-M is the lightest professional-grade Chainsaw in its displacement class. Special components significantly improve the power-to-weight ratio, such as the stainless steel muffler and the Rollomatic ES guide bars. 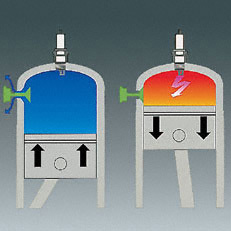 M-Tronic automatically distinguishes between a cold or warm start, so there is only one start position on the combi-lever. The exact amount of fuel needed for each kind of start-up is provided automatically. So you can power up to full speed straight away, even after a cold start. 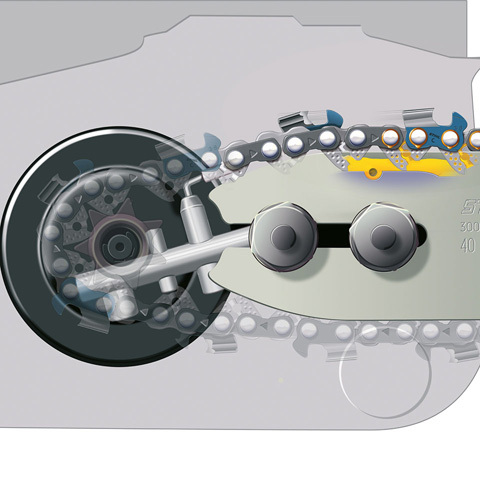 After the saw is turned off, the control lever immediately moves back into the operating position. Steady does it: we've developed an innovative new anti-vibration system for an even more controlled and precise cut. It significantly reduces the vibrations felt by the user. Above average: double bumper spikes ensure great cutting precision during bucking and felling jobs. For better directional control during plunge cutting jobs, raised lines that act as plunge guides have been integrated into the crankshaft design. 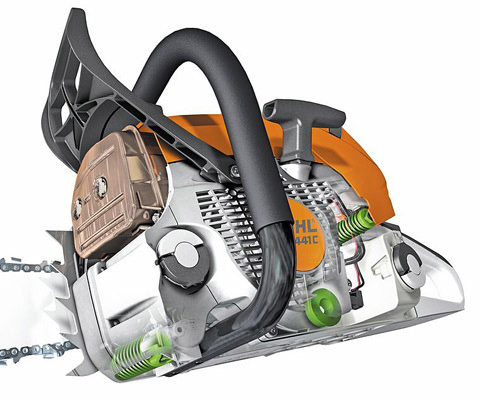 The new HD2 air filter made of PET material with a radial seal prevents fine dust from entering the Chainsaw. The hermetic seal increases the engine's service life and reduces wear. 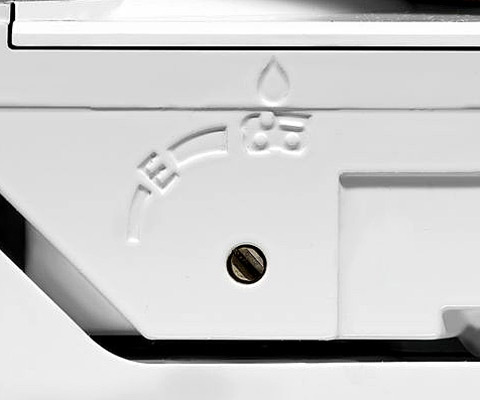 The new oil pump system enables the oil flow to be increased, which is particularly advantageous when working in dusty conditions or when using longer guide bars. The electronic engine management system with memory function regulates the ignition timing and the fuel supply and automatically registers the external temperature, for optimal engine performance, great acceleration and sustained maximum torque. There is only one start position on the combi-lever, so you can easily start the tool with fewer pulls on the cord and without switching.